Today's dish is made with two vegetables I like a lot namely cauliflower and bell pepper which is commonly called capsicum in India. 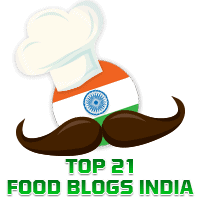 You will find recipes of both these dishes elsewhere in this blog such as our Cauliflower Ambat, Gobhi ka Kheema, Capsicum Masala Rice, and Capsicum Masala Curry. 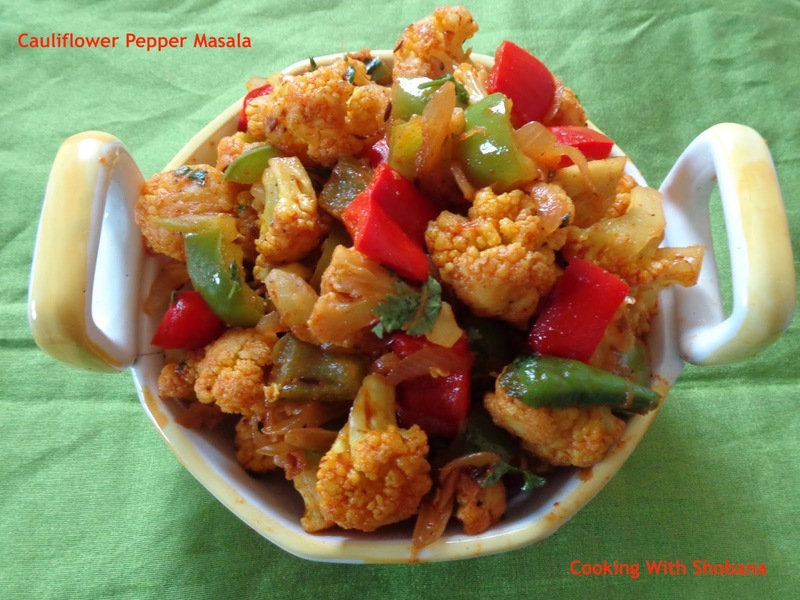 I have made this Cauliflower Pepper Masala to suit my taste. You can of course tweak the recipe to your preferred spice levels. We had this dish adapted from Cauliflower Pepper Masala by Vah Chef as a side dish with rotis. In case you want to use this in a Chapati Roll/Wrap, you may like to reduce the size of the cauliflower. However, don't cut the cauliflower florets too small as cauliflower cooks very fast and we don't want it to get overcooked or mushy. Serve hot as a side dish with rice or rotis or as a filling for Roti/Chappati Rolls/Wraps.